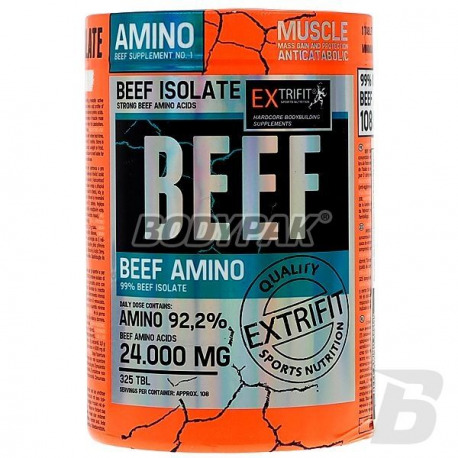 Amino AcidsExtrifit Beef Amino 24000mg - 325 tabl. Reach for the high-quality beef amino acids that make up you speed up your results. Protein of beef is among the best in the world. Amino acid content in the tablet reaches 98% - no fillers. Beef Amino acids are becoming increasingly popular due to the high quality and efficiency in action. A protein derived from beef has long been considered to be the best possible. 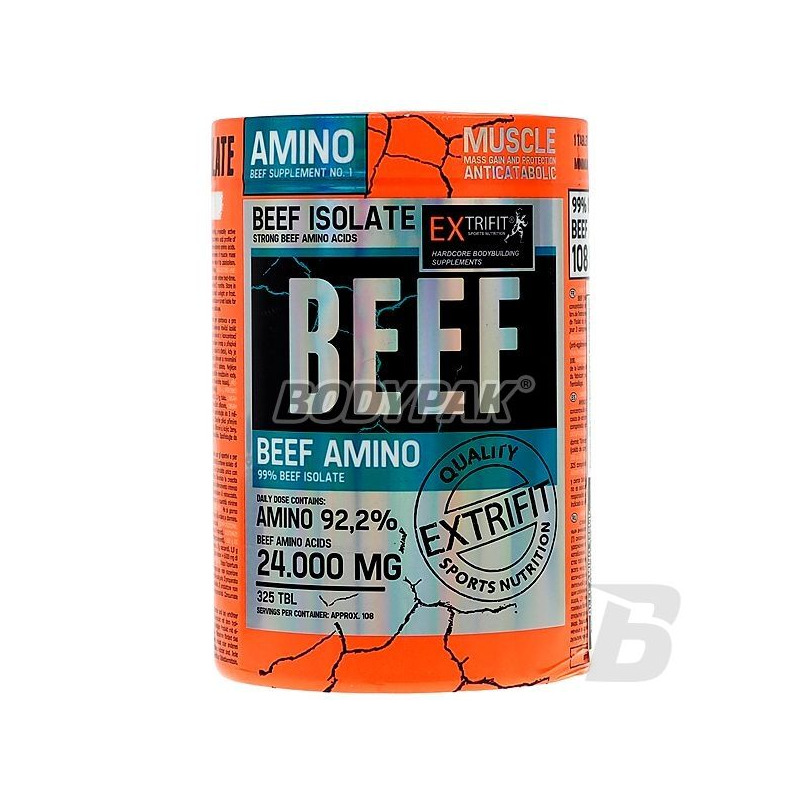 If you are looking for interesting than the "classical amino acids" reach for precisely Extrifit Beef Amino 24000mg - manufacturer guarantees the highest quality of their products and the minimum amount of unnecessary fillers in the tablets. The amino acid concentration reaches 98% of the tablet! Nowhere else will you find such a high quality product. Extrifit Beef Amino - a revolutionary supplement worthy of the twenty-first century. Daily dose: 4x 3 Table. Ingredients: 99% hydrolyzed whey protein isolate, beef, silicon dioxide - anti-caking agent, magnesium salts of fatty acids - anti-caking agent. W mojej ocenie jeden z najlepszych amino z grupy Beef! Działa jak powinno. świetna cena i wysoka koncentracja aminokwasów.